It is one week before the children and I (and our dog) will drive back to Amsterdam. I am busy packing stuff, seeing people, arranging all kinds of stuff, taking the car to the garage, the kids, getting some work done in the midst, helping out a neighbour. You name it. I am already back to being busy. More then ever I feel life is happening. I never planned to leave France for some time. I never planned to put my work second. I never planned to struggle with work and kids. I never planned to escape from the ratrace. But all of it is happening. The more I let go of what I think life should be like, the more life is unfolding itself. No decision making, just going along where it will take me. Instead of making my life, I’m living my life. And how much more interesting, natural and powerful it ‘s becoming. No more struggle. Thinking your life is manufacturable fits in the way society approaches us. But when I think about my life most things just ‘happened’. I never chose to become a filmmaker, it just happened when I studied Journalism. I didn’t choose to move to Amsterdam, somebody offered me a house. I didn’t choose to fall in love with my husband, but I did. I didn’t think of having kids until I found out I was pregnant. I didn’t choose to get panic attacks, to get two burnouts, but they gave the most powerful and positive direction to my life I could ever ask for. So now I know that if life takes a turn, you just surrender. Even if it seems not what you want. Life can come to full force if you accept what is waiting for you along the road. And again: be grateful for what you find! It might just be a blessing in disguise. So Amsterdam, here we come. With three bundles of joy. Looking forward to seeing my friends, good coffee, good food, buy some nice clothes, go to museums, cycle by the canals, having my family around. 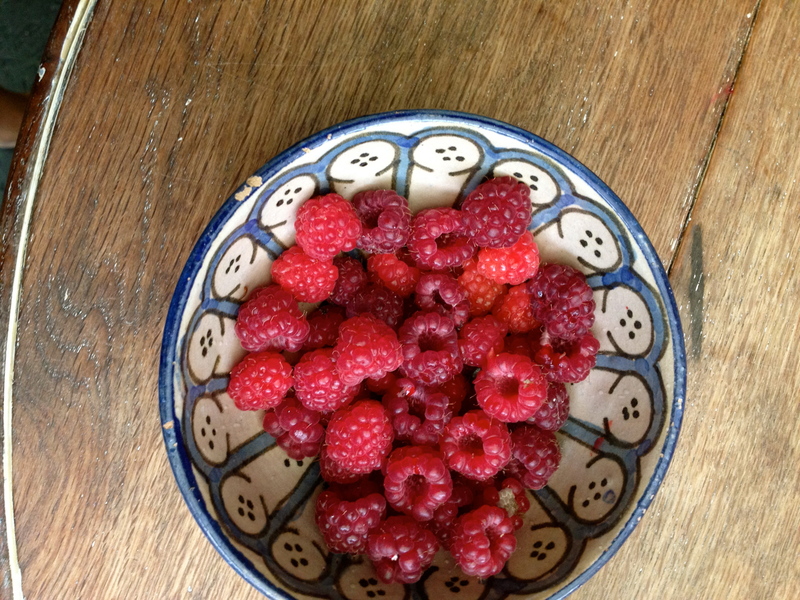 Plus picking these lovely raspberries from our city garden and most of all slendang time with our much missed T.